Senior advocate Raju Ramachandran, amicus curiae appointed by the Supreme Court in the PIL filed by ‘Shakti Vahini’ that sought measures to curb honour killing and unwarranted interference by Khap Panchayats in inter-caste marriages, has filed significant suggestions before the bench headed by Chief Justice Dipak Misra. Ramachandran urged the court to direct Centre to implement the 242nd Law Commission Report submitted in August 2012 that suggested a special stringent law to combat the menace. The law panel report had proposed a legislation to prevent the “acts endangering the liberty of the couple married or intending to marry and their family members”. Besides this, Ramachandran has also suggested speedy investigation by a SIT in each case of harassment of couples by khap panchayat and the arrest of culprits. “The note contains some suggestions which may be considered by this Hon’ble Court (till appropriate legislation is put in place) with a view to address the problem of honour killings which take place perhaps at the instance, instigation or encouragement of some khap panchayats”, it says. If any police officer or any officer of the district administration gets information about any “proposed” gathering of a Khap Panchayat, it will be his duty to immediately inform his superior officers and the matter must be brought to the notice of the Dy. Superintendent of Police in-charge of the area and Superintendent of Police of the district. Thereupon, it would be the duty of the Dy. Superintendent of Police (or such senior police officer as identified by the State Government with respect to the area/ district) to meet with the members of the Khap Panchayat and reason with them that such a meeting/ gathering may not be held as it would be an illegal gathering. It should be impressed upon them that if any decision is taken, which would in any manner result in harm to the couple or the family members of the couple, the police would be duty bound to register an FIR against the members of Khap Panchayat interalia under Sections 141 r/w 143 and 503 r/w 506 IPC. If the members of Khap Panchayat persist in holding a meeting and the senior police officer has reason to believe that such a gathering may cause reasonable apprehension of harm to the couple or their family, the District Magistrate/Sub Divisional Magistrate of the district/ area would be duty bound to take preventive steps under the Cr.P.C., including invoking Section 144 Cr.P.C. either on the request of the senior police officer(s) or suo moto. In case it appears to the senior police officer that the assembly of a khap panchayat cannot be otherwise prevented, and further the said police officer has reason to believe that the said assembly is likely to take some decision which may result in harm to couple and/or their families, the power to arrest under Section 151 Cr.P.C. may be invoked. The SP/Dy. SP should ensure that the local police station carries out quick and effective investigation of such cases, so that action of convening an unlawful assembly and passing illegal diktats do not go unpunished and the persons responsible are immediately arrested. He also suggested that a SIT may be constituted in such cases where it has come to notice that the khap anchayat has resolved to take action against a couple or a family or an actual honour killing has taken place which may be relatable to a diktat of the khap panchayats. 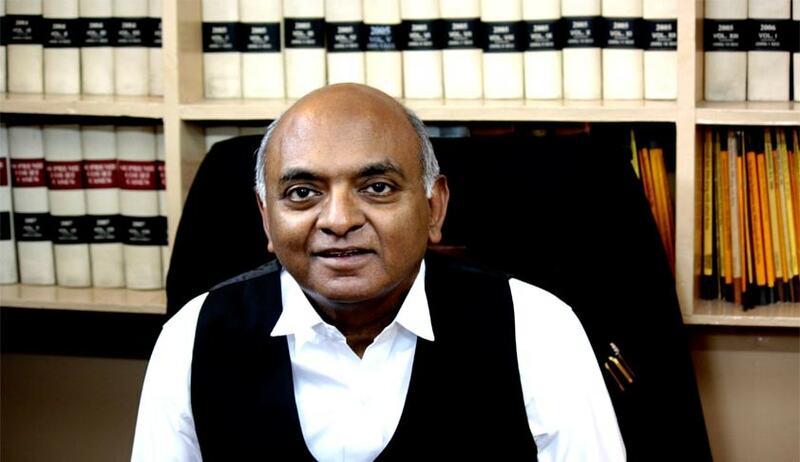 Arguing before the court, Ramachandran pointed out strong remarks on honour killings by the bench-led by CJI Misra (then a judge of the SC) while sentencing Vikas and Vishal, convicts in the Nitish Katara case to 25 years imprisonment without remission in October 2016. Nitish’s was a case of honour killing. Ramachandran reminded the court that in Katara case, the bench had noted: “Her (Bharti Yadav’s) individual choice is her self-respect and creating a dent in it is destroying her honour. And to impose so-called brotherly or fatherly honour or class honour by eliminating her choice is a crime of extreme brutality, more so, when it is done under a guise. It is a vice, condemnable and deplorable perception of ‘honour’, comparable to medieval obsessive assertions,”. The amicus urged the court to direct the Centre to implement the 242nd Law Commission Report submitted in August 2012 which suggested a special law. “It is considered necessary that there should be a threshold bar against the congregation or assembly for the purpose of disapproving such marriage / intended marriage and the conduct of the young couple”, the report said adding such a congregation be treated as an unlawful assembly and any order for social boycott or harassment be treated as offences punishable with imprisonment. It had said the offence be made non-bailable and non-compoundable. On January 16 the Supreme Court termed as "absolutely illegal" any attack by khap panchayats or quashing order against an adult man and woman opting for inter-caste marriage. The apex court said if an adult man and woman marry, no khap, panchayat, individual or society can question them. The bench had then asked the Centre to give its response on suggestions given by Ramachandran on ways to prevent harassment and killing of young couples in the name of family honour for marrying inter-caste or intra-clan (gotra).